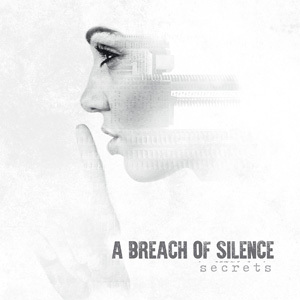 Australia’s award winning powercore-metal pioneers A BREACH OF SILENCE have premiered yet another music video, this time for "Broken". This is the second video clip from their upcoming third studio album entitled Secrets. "Broken" was written about depression, spawned from a very dark time in the band’s recent past. Secrets was produced by Fredrik Nordstrom (BRING ME THE HORIZON, ARCH ENEMY, IN FLAMES) and mixed by Henrik Udd at Studio Fredman. It will be released worldwide via Eclipse Records on February 24, 2017. The first music video from the new album "Falling Away" has already topped 100,000 views. The band’s previous album The Darkest Road debuted on the iTunes metal chart at #1 in Australia, and at #20 on AIRA’s 100% Independent chart. Dozens of music blogs and media publications placed it in their Best of 2014 lists too. Secrets is already available for pre-order via iTunes and Amazon. Either option comes with the songs “Falling Away”, “Secrets” and “Nightcrawler” as instant grat tracks! The album is also available for pre-order via Google Play. Additional options and information about Secrets will be forthcoming at Eclipse Records. For more information on A BREACH OF SILENCE including upcoming tour announcements, please visit them on Facebook, Twitter, and Eclipse Records.